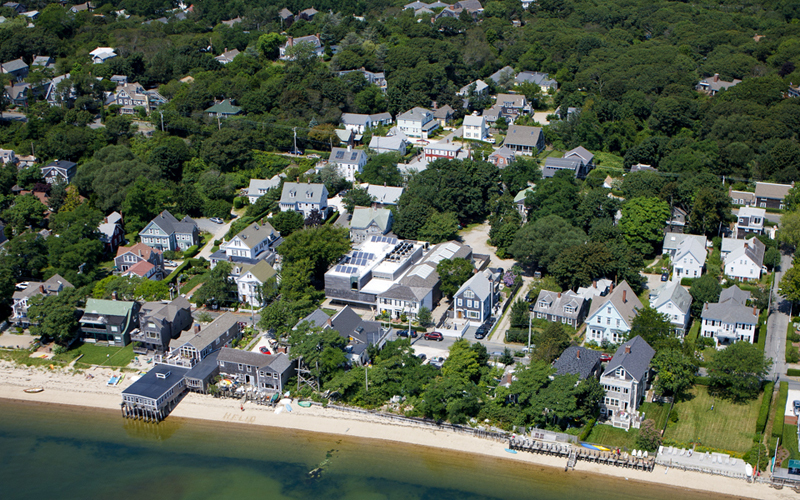 The Provincetown Art Association and Museum is recognized as a regional leader in its concern for the environment, and has been awarded a Silver LEED rating. The LEED rating system, which stands for Leadership in Energy and Environment, quantifies a building's use of energy and natural resources, and acknowledges its overall environmental performance. PAAM employs several strategies to minimize the negative impact of building development on local ecologies. 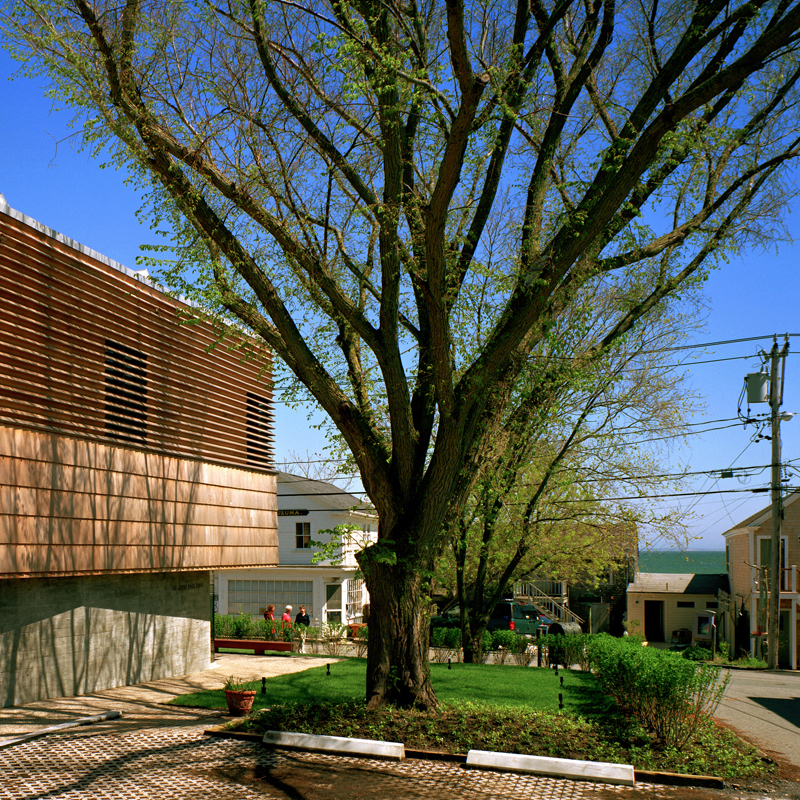 For example, by using porous paving and large planting areas, the museum is able to minimize the amount of storm water run-off form the site. Another strategy is to reduce staff and visitor dependence on automobile transportation by providing bicycle storage, designated car pool parking, and easy access to public transportation. In a coastal environment where there is no potable groundwater, water conservation is imperative. As part of a sustainable building program, PAAM has implemented several strategies to reduce water consumption. These include the installation of low-flow plumbing fixtures, and the planting of native species that do not require permanent artificial irrigation. 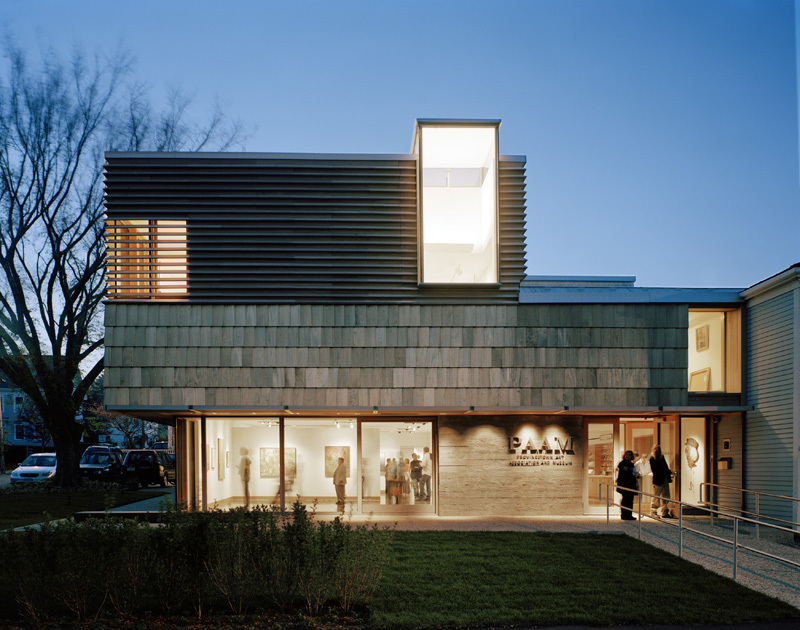 Minimizing the amount of energy required to operate the building is a significant component of PAAM's sustainable building program. The rooftop array of photovoltaic cells provides a clean renewable source of electricity. Other conservation features include high-efficiency heating and cooling equipment, and a natural ventilation system designed for the mid-seasons. Just as important are the insulation materials, which exceed the levels required by building code, and the high-efficiency glass used in the windows and skylights. Building is a material-intensive activity. 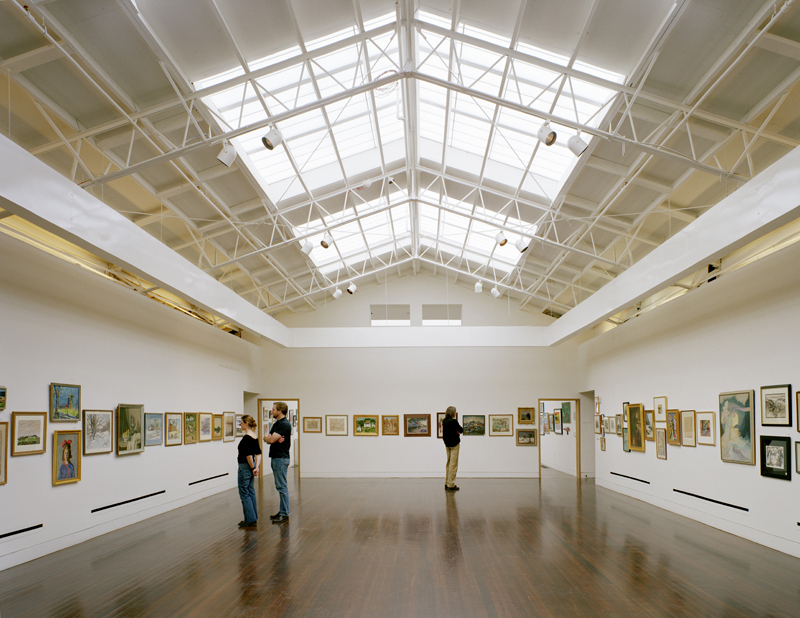 To minimize PAAM's environmental impact, the museum has employed several strategies, including reusing a considerable portion of the original structure. This approach required fewer new materials, and kept existing building materials out of the waste stream. In addition, a substantial portion of construction waste was diverted from landfills through a concerted recycling effort. Finally, by using recycled materials, or materials drawn from rapidly renewable and local sources, PAAM reduced its environmental impact and transportation costs. One of PAAM's environmental goals is to create a healthy and pleasant indoor environment for Museum visitors, students and employees. This is achieved by providing exterior views and daylight wherever possible in the building. In addition, PAAM's careful selection of interior materials containing little or no volatile organic compounds, which could lead to unhealthy indoor air. Finally, the mechanical system?designed to monitor indoor air quality?adjusts the amount of ventilation provided to a room based on its occupancy.